Our Board and Management teams are comprised of experienced industry leaders from both Baytex and Raging River to create a top-tier team with a track record of value creation. Mr. Roszell was appointed Chairman of the Board of Baytex on August 22, 2018. He is a professional engineer with 25 years of industry experience. Mr. Roszell was the Executive Chairman and Chief Executive Officer of Raging River Exploration Inc. ("Raging River") from June 2017 until August 2018 and Raging River’s President and Chief Executive Officer from incorporation in 2012. Mr. Roszell was the President and Chief Executive Officer of Wild Stream Exploration Inc. from October 2009 until March 2012, the President and Chief Executive Officer of Wild River Resources Ltd. from February 2007 until July 2009, the President and Chief Operating Officer of Prairie Schooner Energy Ltd. from August 2004 until September 2006 and the Vice President, Engineering of Great Northern Exploration Ltd. from September 2001 to June 2004. He received a Bachelor of Applied Science degree in Engineering from the University of Regina in 1991. Raymond T. Chan originally joined Baytex in October 1998 and has held the following positions: Senior Vice President and Chief Financial Officer (October 1998 to 55 August 2003); President (September 2003 to November 2007); Chief Executive Officer (September 2003 to December 2008); Interim Chief Executive Officer (May 2012 to September 2012) Executive Chairman (January 2009 to May 2014); and Chairman of the Board (May 2014 to August 2018). Mr. Chan served as a director of Baytex Energy from October 1998 to December 2014. Mr. Chan has held senior executive positions in the Canadian oil and gas industry since 1982, including chief financial officer titles at Tarragon Oil and Gas Limited, American Eagle Petroleums Ltd. and Gane Energy Corporation. Mr. Chan holds a Bachelor of Commerce degree and is a Chartered Accountant. Mr. Bly joined the Board on November 1, 2017 and was appointed Lead Independent Director on March 5, 2019. Mr. Bly is an independent businessman with over 35 years of experience in the oil and gas industry, primarily with BP, a global producer of oil and gas. Since retiring from BP in 2013, Mr. Bly has worked with private oil and gas production and service companies serving as an executive, a board member and advisor. At BP, Mr. Bly held various senior leadership roles in its domestic and international operations, including leading the North American onshore unit, Group Vice President for approximately 25% of BP's global production, and Executive Vice President of Group Safety and Operational Risk. Mr. Bly holds a Master of Science degree in structural engineering from the University of California, Berkeley and a Bachelor of Science degree in civil engineering from the University of California, Davis. Mr. Bugeaud was appointed to the Board on August 22, 2018. He retired (December 31, 2013) as Managing Partner of Burnet, Duckworth & Palmer LLP and is now a Corporate Director. Mr. Bugeaud was a director of Raging River Exploration Inc. from January 2014 until August 2018. He is a director of Freehold Royalties Ltd. and a Member of the Dean's Advisory Committee of the College of Law of the University of Saskatchewan. He is a former corporate lawyer with over 23 years of legal experience focused on securities, corporate finance, mergers and acquisitions, and corporate governance matters. Mr. Bugeaud has a Bachelor of Commerce (Finance) degree and a Bachelor of Laws degree from the University of Saskatchewan. Mr. Bugeaud holds the ICD.D designation from the Institute of Corporate Directors. Ms. Curran holds a Bachelor of Arts degree in English and a Bachelor of Laws degree (both with distinction) from the University of Saskatchewan and the ICD.D designation from the Institute of Corporate Directors. She is a retired businesswoman with extensive experience in executive compensation, mergers and acquisitions, financing and governance. She served as an officer of Canadian Oil Sands Limited from September 2002 to the time of its sale in February 2016. As Senior Vice President, General Counsel & Corporate Secretary of Canadian Oil Sands Limited, she was responsible for legal, human resources and administration and a member of the executive team focused on strategy and risk management. From 2003 to 2016, she was a director of Syncrude Canada Ltd., where she served as chair of the Human Resources and Compensation Committee and as a member of the Pension Committee. 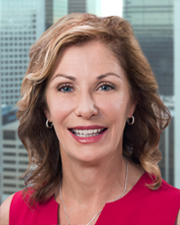 She serves on the Executive Committee of the Calgary chapter of the Institute of Corporate Directors and is a member of the Alberta Securities Commission. Mr. Olson was appointed to the Board on August 22, 2018. Mr. Olson holds a Bachelor of Commerce degree (with distinction) majoring in finance and accounting from the University of Calgary. He has 25 years of experience in energy investing, investment banking and the Canadian upstream energy industry. He is currently the President & Portfolio Manager of a private investment firm. Prior thereto, Mr. Olson was President and Portfolio Manager of EnergyX Equity Inc. from 2001 to 2011. Mr. Olson was Vice President, Corporate Development of Northrock Resources Ltd. from 2000 to 2001. From 1993 to 2000 Mr. Olson worked with FirstEnergy Capital Corp. as Vice-President, Corporate Development. He currently serves on Gear Energy Ltd.’s board and had previously served on several Canadian public and private energy and energy service company boards. Mr. Pearce was appointed to the Board on August 22,2018. He has a Bachelor of Science in Mechanical Engineering (Honors). Mr. Pearce has been working with the Private Equity Energy firm Azimuth Capital Management since July 2014 as Deputy Managing Partner. He was an Operating Partner with the Azimuth predecessor KERN Partners from November 2008 to July 2014. Mr. Pearce was a director of Raging River Exploration Inc. from March 2012 to August 2018. He was with Northrock Resources Ltd. From June 1999 to January 2008 where he held several senior officer positions and most recently was the President and Chief Executive Officer. Prior thereto Mr. Pearce worked in various Management roles at Fletcher Challenge Canada, Amoco Canada and Dome Petroleum. Mr. Gray was appointed Executive Vice President and Chief Financial Officer of Baytex on August 22, 2018. He joined Baytex on April 7, 2014 and served as Chief Financial Officer from April 2014 to August 2018. Mr. Gray has over twenty years’ experience in the oil and gas industry. Prior to joining Baytex, Mr. Gray held the position of Chief Financial Officer for CEDA International. Prior thereto, he spent eleven years with Enerplus Corporation, the last eight of which as Vice President, Finance, where areas of responsibility included corporate reporting, treasury and capital markets, operational accounting, business analysis, risk management and insurance. Mr. Gray is a Chartered Accountant and has a Bachelor of Commerce degree with Honours from Queen's University. He is very active in the community having been involved with several charitable organizations. Mr. Jaskela was appointed Executive Vice President and Chief Operating Officer of Baytex on April 5, 2019. He joined Baytex on August 22, 2018, serving as Vice President, Duvernay and Eagle Ford Business Units from August 2018 to December 2018 and Executive Vice President, Shale Oil from December 2018 to April 2019. Mr. Jaskela is a professional engineer with 18 years of industry experience. Previously, Mr. Jaskela was Chief Operating Officer of Raging River Exploration Inc. from March 2014 until August 2018 and the Vice President, Production from March 2012 until March 2014. From October 2009 to April 2010 he held the position of Manager Engineering with Wild Stream Exploration Inc. and was the Vice President, Production from April 2010 until March 2012. Prior to Wild Stream, Mr. Jaskela held senior engineering roles with Encana Corporation (May 2000 to May 2006) and Mahalo Energy Ltd. (May 2006 to October 2009). Mr. Jaskela graduated with a Bachelor of Science degree in Engineering in 2000. Mr. Ector is Vice President, Capital Markets of Baytex and is responsible for Baytex's equity capital markets and investor relations functions. He joined Baytex in November 2009. Prior to joining Baytex, Mr. Ector spent 15 years as a sell-side research analyst covering both energy trusts and exploration and production corporations. He spent the last seven years with Scotia Capital where he was consistently ranked as one of the top rated analysts in Canada. Mr. Ector received a Bachelor of Commerce degree with a concentration in finance from the University of Calgary and received his Chartered Financial Analyst designation in 1996. He is a national board member of the Canadian Investor Relations Institute as well as a member of the National Investor Relations Institute, the CFA Institute and the Calgary CFA Society. Mr. Arthur was appointed Vice President, Heavy Oil of Baytex on December 14, 2018. Mr. Arthur has over 10 years of experience in the Canadian oil and gas industry. He joined Baytex Energy in 2006 as a Production Engineer and Asset Team Leader in the Heavy Oil Business Unit and has been a business unit Vice President since January 2012. Prior to joining Baytex, he held various technical production, completions and operations roles with Husky Energy. Mr. Arthur received a Bachelor of Science degree in Mechanical Engineering from the University of Saskatchewan and is a practicing member of the Association of Professional Engineers, Geologists and Geophysicists of Alberta. Mr. Grimwood joined Baytex as Vice President, Exploration on August 22, 2018. He was the Vice President of Exploration at Raging River Exploration Inc. from October 2017 to August 2018. Mr. Grimwood served as the President at Iron Bridge Resources Ltd. (formerly known as RMP Energy Inc. and Orleans Energy Ltd) from February 2017 to August 2017 and also served as its Vice President of Exploration from May 2011 to February 2017. He started his career at Poco Petroleums Ltd. in 1997 and held positions of increasing responsibility at Burlington Resources Canada Ltd., Rider Resources Ltd., and Galleon Energy Inc. Mr. Grimwood earned a Bachelor of Science from Brandon University, a Masters Degree in Earth Sciences from the University of Waterloo, and is a Registered Member of APEGGA. Mr. Kalmakoff was appointed Vice President, Finance of Baytex on September 1, 2015. Mr. Kalmakoff has over 15 years of experience in the oil and gas industry. Prior to joining Baytex, Mr. Kalmakoff was Vice President, Finance and Chief Financial Officer at Kicking Horse Energy Inc. Prior thereto, he was Vice President, Finance and Chief Financial Officer at Corinthian Exploration Ltd. Prior thereto, he held a number of positions of increasing responsibility at Pace Oil & Gas Ltd. and its predecessors, including Chief Financial Officer and Vice President, Finance. Mr. Kalmakoff is a Chartered Accountant and holds a Bachelor of Commerce from Dalhousie University. 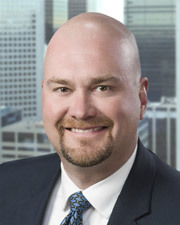 Mr. Lovett is Vice President, Corporate Development of Baytex. He joined Baytex on September 5, 2017. Mr. Lovett is a professional engineer and has over 20 years of experience in the oil and gas industry, including reservoir evaluations, acquisitions and divestments, business planning, and strategic analysis. From March 2014 to September 2017, he held a number of positions of increasing responsibility at Eagle Energy Inc., including Executive Vice President, Business Development. From September 2011 to March 2014, he was an officer of Native American Resource Partners, initially serving as Senior Vice President and then Chief Operating Officer. Prior thereto, he held various engineering and management roles at GLJ Petroleum Consultants Ltd. and Enerplus Corporation. Mr. Lovett holds a Bachelor and Master in Science degrees in Chemical Engineering and a Master in Business Administration, all from the University of Calgary. Mr. Lundberg joined Baytex as Vice President, Viking Business Unit on August 22, 2018. He is a professional engineer with 14 years of industry experience. Prior to his current position, Mr. Lundberg held the position of Vice President, Operations with Raging River Exploration Inc. from October, 2016 until August 2018. He held various technical and management roles with Crescent Point Energy Corporation from 2008 until September 2016. Prior to Crescent Point, Mr. Lundberg was an operations consultant from October 2005 until May 2008 and held a completions position at Husky Energy from May 2004 until October 2005. Mr. Lundberg graduated with a Bachelor of Science in Engineering and is a practicing member of the Association of Professional Engineers, Geologists and Geophysicists of Alberta. Mr. Rideout joined Baytex as Vice President, Land on August 22, 2018. He is a landman with over 14 years of industry experience. He held the position of Vice President Land with Raging River Exploration Inc. from July 2014 until August 2018. Mr. Rideout held roles of increasing responsibility at Surge Energy Inc. from October 2010 until July 2014 where he was most recently the Manager of Business Development and Land. He started his career at Talisman Energy Inc. and was a Land Negotiator at Provident Energy Trust, Kereco Energy Ltd., and Galleon Energy Inc. Mr. Rideout earned an Economics degree from the University of Calgary in 2002 and is a registered member of CAPL.